STEP1 : Tap + button top right of the menu Friends. 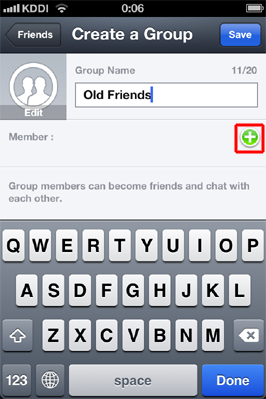 STEP2 : Tap Create a Group. 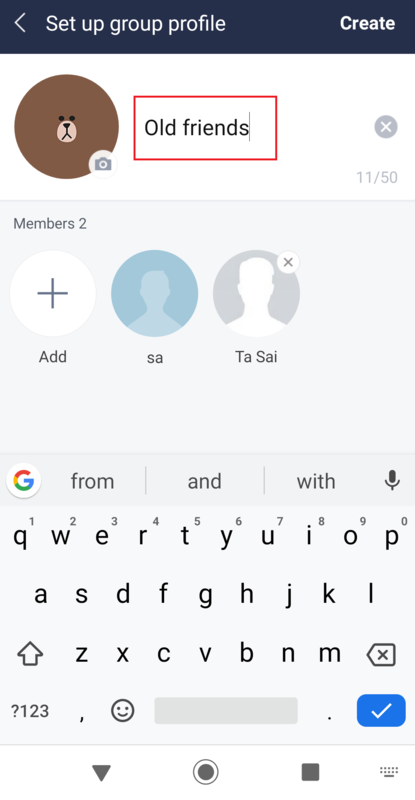 STEP3 : Enter the group name. STEP4 : Tap green + button. 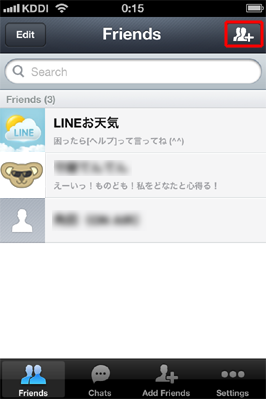 STEP5 : Choose a friend, tap Invite button. STEP6 : Tap Save button.